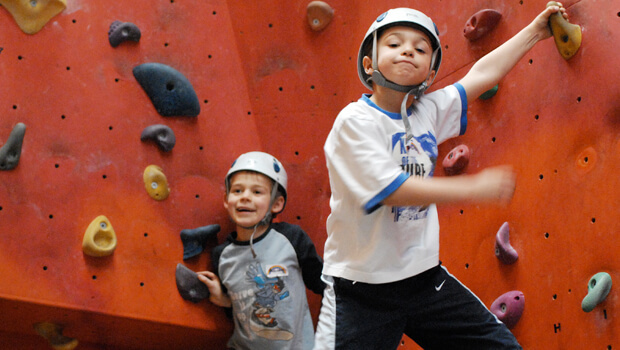 A 60-minute ‘have a go’ mini kids fun climbing session aimed at younger children. An introduction to rock climbing with one of our trained climbing instructors in a comfortable, all weather environment. Great fun and suitable for anyone from the age of 5 to 7 years. Need something fun and exciting that is guaranteed to tire out any budding young climber…? We’ll do the hard work whilst you relax in the relative peace and quiet of our cafe. Only £29 per person and a maximum of 4 per session. Select your session and book online below.